If you dream of a career as a Songwriter, Recording Artist, Session Musician, or if you want to work as a Music Director, Composer, Music Teacher or Music Arranger, this course is for you. 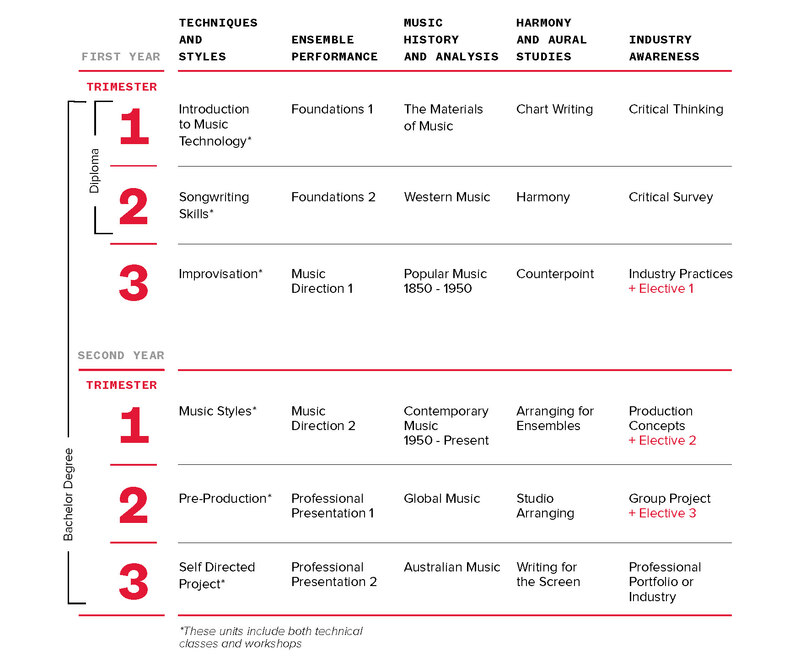 The Bachelor of Arts (Music) balances creative, technical and industry-related skills, with a focus on contemporary music performance and songwriting. 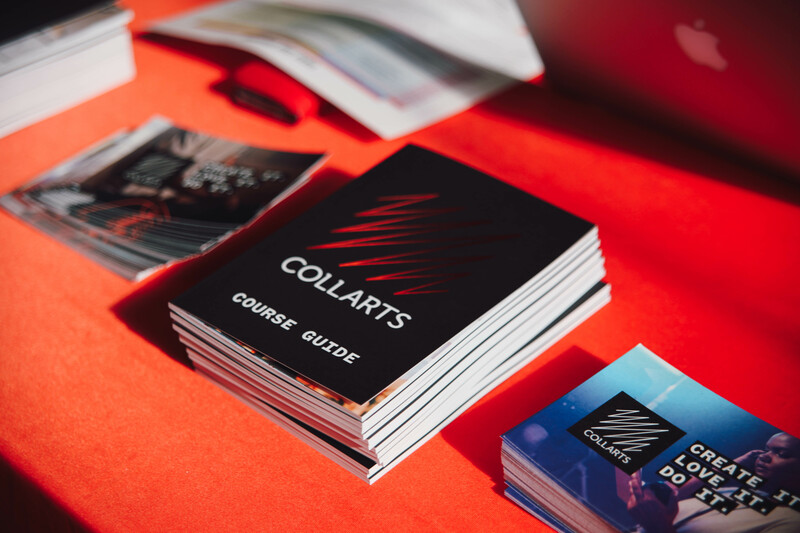 Working closely with our ARIA award-winning teaching staff and a wide range of industry professionals, you will extensively develop your ability in solo and collaborative music performance, music analysis, songwriting and technical musicianship. Music Performance students choose one area of specialisation: vocal, instrumental or singer/songwriter. All students are mentored in this specialisation by industry experts and also receive a one-on-one weekly lesson in their main instrument. You will also work alongside students from other courses to gain a well-rounded understanding of processes involved in the music industry. This course can also be studied as part of the Bachelor of Arts (Music) + Bachelor of Applied Business (Entertainment Management) double degree. The Bachelor of Arts (Music) is delivered at the Wellington Street and Brunswick Street Campuses and is recognised under the Australian Qualifications Framework, accredited until 2023 (CRICOS Code 084558M). For admission criteria, click here. Applicants must complete an audition. The audition process will assess musicianship skills and the applicant’s aptitude and understanding of their chosen course of study. Develop fundamental skills in relation to music, music performance and critique. The Diploma of Arts (Music) is delivered at the Wellington Street and Brunswick Street Campuses and is recognised under the Australian Qualifications Framework, accredited until 2022 (CRICOS Code 088017G). For admission criteria, click here. ALL APPLICANTS: must complete an audition and interview. The audition and interview process will assess musicianship skills and the applicant’s aptitude and understanding of their chosen course of study. accompanist(s), or a quality backing track, is preferred. Applicants should bring all elements required for their performance (instrument, guitar leads etc) to the audition. placed in upon successful audition. • Interview: The audition will conclude with a short informal interview to discuss an applicant’s experience in the creative industry and areas of interest.